The most used, abused, and neglected part of the body is our feet. They are always in motion and over time can make us miserable with annoying pain and discomfort. Reflexology foot massages relieve stress and built up tension. Adding this to your personal health and wellness plan will advance your efforts to live a healthier and less stressed lifestyle. Below, yourfootpalace.com massage experts share their knowledge and experience of how reflexology foot massages can benefit your overall well-being, and answer some frequently asked questions. What Is Reflexology Good For? When applied by professionals, this ancient form of massage is able to aid in several aspects of relaxation, improved wellness, and pain relief. Below are seven reflexology benefits and reasons to book your foot reflexology appointment. #1 – Encourages Relaxation – Reflexology can flood the neural pathways with relaxation, inducing a state of peace and tranquility within the body and mind. This physiological change results in the reduction of stress. Stress reduction through reflexology therapy is frequently associated with relieving sleep disorders. This is accomplished by helping your body return to a more relaxed and balanced state, simultaneously working to restore a healthy Circadian rhythm, which is needed for sufficient sleep. #2 – Promotes Nervous System Stimulation – Open neural pathways benefit our central nervous system in a variety of ways. The brain is able to handle inputs more effectively, essentially speeding up cognitive strengths; thus, increasing the speed of physical reactions, which boosts your memory. Overall, the entire brain is able to work faster and more efficiently. #3 – Relieves Migraines and Headaches – Reflexology is often sought after by people in pain, because reflexology can reduce the severity of migraines and headaches by increasing blood flow and relieving muscle tension. Since stress and psychological factors often manifest themselves as migraine symptoms, stress-induced headaches can also be eliminated. #4 – Revitalizes Nerve Function – Nerve endings lose sensitivity in parts of our body as we age (more so in the extremities). Reflexology has been associated with the stimulation of more than 7,000 different nerve endings during a 1-hour session, naturally increasing nerve functioning and reactivity. The opening and cleansing of neural pathways helps improve overall functionality and reduces toxicity within the body. #5 – Improves Circulation – Probably the most well known and verified results of reflexology is an improvement in circulation throughout the entire body, which means blood and oxygen are being cycled throughout the body more effectively. Due to this benefit, oxygen reaches vital organ systems, optimizing their function and increasing the metabolism. #6 – Increases Energy Levels – By aligning functions of organ and muscle systems, reflexology has the potential to increase the metabolism and energy creation. In other words, reflexology sessions can help to re-energize your body and mind. Q: Why does foot reflexology work? A: A reflexologist’s application of pressure to the feet, hands, or ears sends a calming message from peripheral nerves to the central nervous system, which then signals the body to adjust the level of tension. Q: Is Foot Reflexology painful? A: In Western reflexology, when a client experiences higher levels of pain, the reflexologist eases the pressure. In Chinese Reflexology, when painful points are found, the reflexologist focuses on that pain. Q: Is reflexology good for arthritis feet? A: Massage is beneficial for the body overall. Increasing blood flow helps relieve pain and reflexology is a gentle process that can also help reduce the pain, along with the swelling and discomfort associated with arthritis. Q: How often should you get reflexology? A: For those new to reflexology, weekly sessions for four to six weeks is a good start, after which biweekly or monthly visits should be sufficient for overall improved well-being. Q: How long is a reflexology session? A: A complete session means attending to all areas of both feet. This varies from 30, 60, and 90-minute sessions depending on the style of Reflexology and the health of the client. Q: Can reflexology help with plantar fasciitis? A: Reflexology can indeed help relieve some of the pain and discomfort caused by plantar fasciitis. Reflexology is beneficial because it uses pressure point techniques to release the tension in the feet, thus relieving the heel pain caused by plantar fasciitis. To learn more about why reflexology may be right for you, watch this video. As you have learned, the addition of reflexology foot massages to your health and wellness plan can significantly influence your daily life and well-being. Pain relief, nerve stimulation, blood flow, migraine relief, and so much more can be achieved through reflexology. And in the absence of abnormalities, reflexology may be as effective for promoting better health and preventing illness, as it may be for relieving the symptoms of stress, injury and improving your mood. The prolonged neglect of our feet only adds to the list of aches, pains, and potential medical issues as we age. Adding frequent reflexology foot massages to your health and wellness strategy can result in tremendous short and long-term benefits. Plantar fasciitis is one of the most common orthopedic complaints, and one we hear often at Foot Palace of Athens. Those that suffer from plantar fasciitis usually experience stabbing heel pain and stiffness with their first step out of bed in the morning. 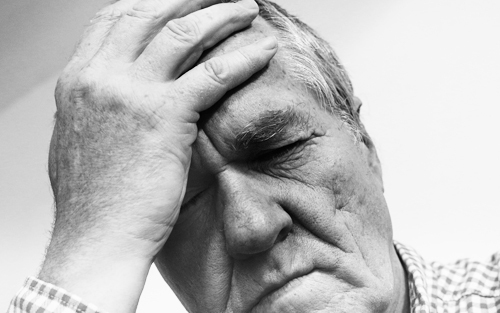 This pain can range from mild discomfort to debilitating pain and affects nearly 2 million Americans each year. 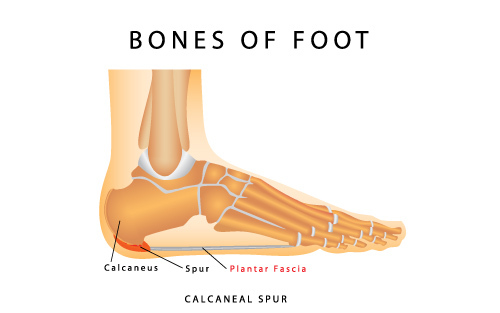 The pain is caused from inflammation of the plantar fascia tissue, which is a thin web-like ligament that runs across the bottom of your foot connecting your heel bone to your toes. This thin ligament is the foot’s arch support that helps you walk. The pain from plantar fasciitis normally decreases as your foot limbers up throughout the day, but can return if you spend a majority of your day standing. We don’t often think about our feet but our daily lives put a lot of stress on our plantar fascia ligament. This common orthopedic condition is frequently found in runners. The ligament normally acts as a shock absorber, and putting too much pressure on this ligament can wreak havoc on your feet. However, planter fasciitis doesn’t just affect the fleet of foot. You may also be at risk for this condition if you are overweight, late in a pregnancy, menopausal, or wear shoes with inadequate arch support. Maintaining a healthy weight, stretching before physical activity, and wearing shoes with proper arch and heel support may reduce your risk of getting plantar fasciitis. Reflexology can help relieve some of the pain and discomfort caused by plantar fasciitis. Reflexology is beneficial because it uses pressure point techniques to release tension in the feet and relieves heel pain caused by plantar fasciitis. A natural cure for Plantar Fasciitis is to massage the feet. Plantar Fasciitis surgery is too invasive for most people and costs a lot of money! Reflexology is a healthier and better Plantar Fasciitis remedy! During a reflexology session you fist soak your feet in hot Epson mineral salt water to help draw inflammation out of the sore muscles. Once your muscles have loosened up a little form the warm salt soak, a therapist begins working on breaking up the “crystals” in your feet, loosing up the tight bands of the fascia, and then stretches the ligaments and Achilles tendon. Doing this helps to further relax the muscles in the feet and calves, to increase circulation and flexibility. Increasing the circulation and flexibility in your lower legs and feet reduces the inflammation causing pain in the plantar fascia. Like most injuries, there’s no instant cure, but receiving regular reflexology sessions can help you achieve pain relief in minutes, help gradually experience less pain daily on a daily basis, and maintain full flexibility in your feet, heels, and lower legs. Set your massage appointment now and relieve your pain and foot discomfort today!